Fashion famously comes in cycles and things once considered past it can make a surprise appearance on the runway. Is that what’s just happened to the lungi? 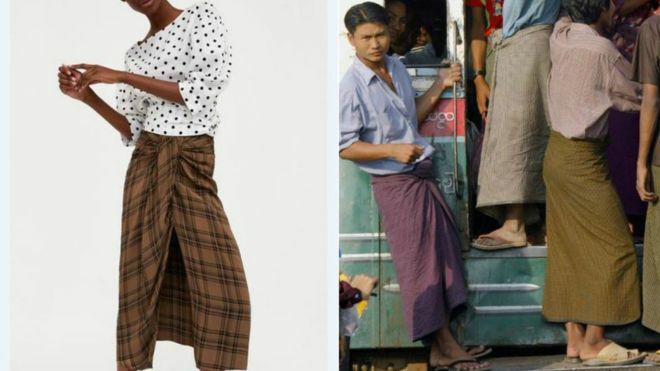 Depending on where you’re from, a lungi is either what you’re wearing right now, what your dad and grandfather used to wear, or the thing you had to sport as a tourist to cover your legs when visiting a temple or pagoda. 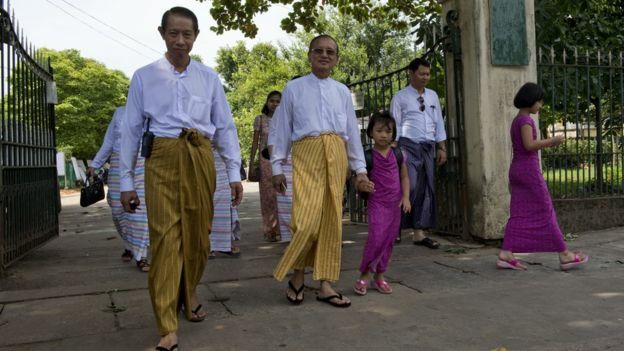 But the lungi – or lungyi, longyi, sarong etc – has now found its way on to the High Street. The lungi is a tube-shaped piece of cloth wrapped around the waist and tied together at the front. It’s been a veteran garment, mainly for men, in many parts of South and South East Asia, East Africa and the Arab world for generations. The loose, light fits is perfect for warmer climates, while the length keeps the wearer modest and presentable. Often coming in a chequered design, lungis can be made of varying quality fabrics. The price tag? Usually the equivalent of a few dollars at most. Now global fashion brand Zara has started selling something remarkably similar to the fashion staple, for the price, in the UK at least, of £69 ($98). According to Zara, theirs is a “check mini skirt” with “draped detail in the front”. It has a “front slit detail at the hem” and “zip fastening in the back hidden along the seam”. It is made of polyester and viscose and, unlike its inspiration, is dry-clean only. Alright, there’s a zip involved, which does elevate it slightly beyond the old school lungi, but there seems universal agreement on Twitter that… it’s a lungi. Many comments online have pointed out their surprise at finding the item in the Zara catalogue. There’s also a lot of amusement at a garment most people associate with their uncles and fathers being marketed as women’s fashion – and at a bafflingly steep price at that. But others are upset there’s not even a mention of the world lungi (or its equivalents) nor a reference to its origins. Other comments accuse global fashion brands of producing their clothes for pennies in poor Asian countries, and say they now are even taking design and fashion along with the profit. The blend of ridicule and rage also has a few asides about how the lungi debate might be wrapped into a much bigger topic, of whether it’s ever right for companies to take titbits of other cultures and sell them for a vastly inflated price elsewhere.